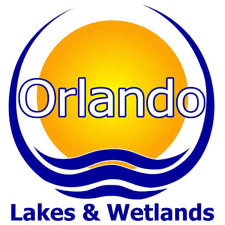 Orlando Lakes & Wetlands specializes in wetland mitigation, construction, and restoration. Our turnkey wetland mitigation operation has successfully assisted builders, property owners, and government agencies in the design, permitting, construction and monitoring of new wetlands and uplands, and the maintenance of storm water facilities such as retention, detention and water quality basins for 10+ years. Our professionally designed and constructed wetland ecosystems provide educational and recreational resources to the general public, create and improve wildlife habitat, aide in the filtration of storm water, and offset unavoidable impacts that may occur to wetlands as a result of land use activities. The objective of the Clean Water Act (CWA) is “to restore and maintain the chemical, physical, and biological integrity of the Nation’s waters.” Toward achievement of this goal, the CWA prohibits the discharge of dredged or fill material into waters of the United States unless a permit issued by the Army Corps of Engineers or approved State under CWA Section 404 authorizes such a discharge. Proposed projects that will cause adverse impacts to wetlands and other aquatic resources typically require some type of compensatory mitigation. The Army Corps of Engineers (or approved state authority) is responsible for determining the appropriate form and amount of compensatory mitigation required. Some types of mitigation are wetland establishment, restoration, enhancement and protection/maintenance. • Establishment (Creation): The development of a wetland or other aquatic resource through manipulation of the physical, chemical or biological characteristics where a wetland did not previously exist. Successful creation results in a net gain in wetland acres. • Restoration: Re-establishment or rehabililitation of a wetland or other aquatic resource with the goal of returning natural or historic functions and characteristics to a former or degraded wetland. Restoration may result in a gain in wetland function and/or wetland acres. improve water quality, flood water retention or wildlife habitat. Enhancement results in a change in wetland function(s), but does not result in a gain in wetland acres. • Protection/Maintenance (Preservation): The protection of ecologically important wetlands or other aquatic resources into perpetuity through the implementation of appropriate legal and physical mechanisms (i.e. conservation easements, title transfers). Preservation may include protection of upland areas adjacent to wetlands as necessary to ensure protection and/or enhancement of the aquatic ecosystem. Preservation does not result in a net gain of wetland acres and should only be used in exceptional circumstances. alternative with less adverse impact. 2. Minimize - If impacts cannot be avoided, appropriate and practicable steps to minimize adverse impacts must be taken. The American Crocodiles, a Federal Endangered Species, makes its home in the Everglades Mitigation Bank. Compensatory mitigation for unavoidable wetland impacts can be located on or adjacent to the development site (onsite mitigation) or when environmentally preferable can be performed at another location (off-site mitigation). Mitigation Banking and In-Lieu Fee Programs are typically off-site mitigation, while project-specific mitigation can be located on- or off-site. • Project Specific Mitigation: Restoration, creation, enhancement and, in exceptional circumstances, preservation of wetlands undertaken by a permittee in order to compensate for wetland impacts< resulting from a specific project. The permittee performs the mitigation after the permit is issued and is ultimately responsible for implementation and success of the mitigation. Federal Wetlands Mitigation Policy Guidance Available at: www.epa.gov/owow/wetlands/guidance Memorandum Of Agreement Between The Department of the Army and The Environmental Protection Agency. 1990. Contains the policy and procedures to be used in determining the type and level of mitigation necessary to demonstrate compliance with the Section 404(b)(1) guidelines. Federal Guidance for the Establishment, Use and Operation of Mitigation Banks. Interagency guidance issued in 1995 to clarify the use of mitigation banks to compensate for authorized impacts to aquatic resources. Federal Guidance on the Use of In-Lieu-Fee Arrangements for Compensatory Mitigation under Section 404 of the Clean Water Act and Section 10 of the Rivers and Harbors Act. Interagency guidance issued in 2000 to clarify the agencies policy on the manner in which in-lieu-fee mitigation may be used to satisfy compensatory mitigation requirements. • Mitigation Banking: A wetlands mitigation bank is a wetland area that has been restored, created, enhanced or (in exceptional circumstances) preserved, which is then set aside to compensate for future conversions of wetlands for development activities. The value of a bank is determined by quantifying the wetland functions restored or created in terms of “credits.” Permittees, upon approval of regulatory agencies, can acquire these credits to meet their requirements for compensatory mitigation. The bank sponsor is ultimately responsible for success of the project. for the the success of the mitigation.